Adding to the game's visceral presentation is updated technology used to render better gore. Death is bloody and gruesome in Black Ops. You'll see severed body parts and other grisly wounds. It's horrific, but the game rarely celebrates the violence. Even the new contextual melee kills feel appropriately violent. There are a number of realistic animations for close combat kills, whether you're snuffing out an enemy in his sleep or taking hold of one as you burst from your submerged hiding spot underwater. The action definitely looks "cool," but it's presented in a rather mature, tasteful manner. New weapons include an M202 rocket launcher, an incendiary shotgun and a crossbow. The latter of which can be used for stealth kills but it also can fire explosive tipped arrow for those situations where you need a little bang for your buck. Player controlled vehicles are confirmed, one of which is the SR-71 Blackbird. 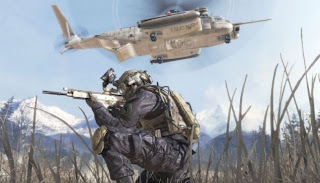 In one mission you use it to guide troops on the ground past guard patrols. Helicopter-on-helicopter gun fights. CoD: BO is using the same full-actor motion-capture technology as Avatar. That means that not just gestures, but whole performances are captured, right down to facial expressions and line delivery. 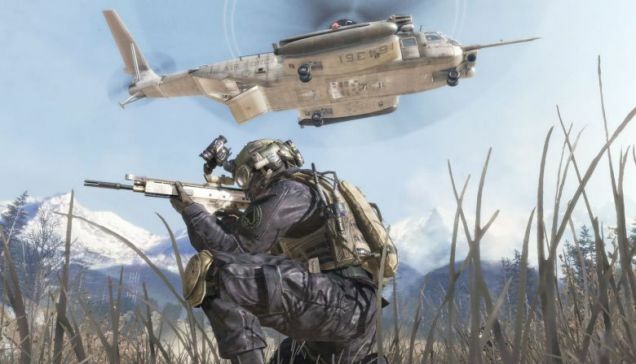 Expect some serious emoting this time around.Treyarch is following Modern Warfare's lead in terms of big action movie set-pieces. Cliff-diving and rappelling through windows are already in.